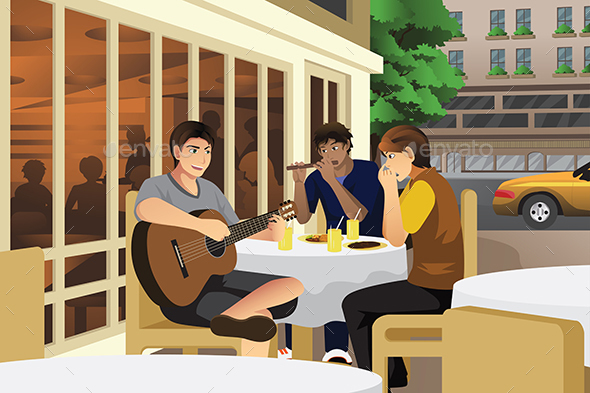 A vector illustration of young men playing music in cafe together. Vector illustration, zip archive contain eps 10 and high resolution jpeg. Keywords: adult, cafe, cartoon, clip-art, clipart, drawing, flute, friends, friendship, fun, guitar, hangout, happy, harmonica, illustration, instrument, leisure, lifestyle, male, man, modern, music, musical, people, playing, recreation, smile, together, vector, young.